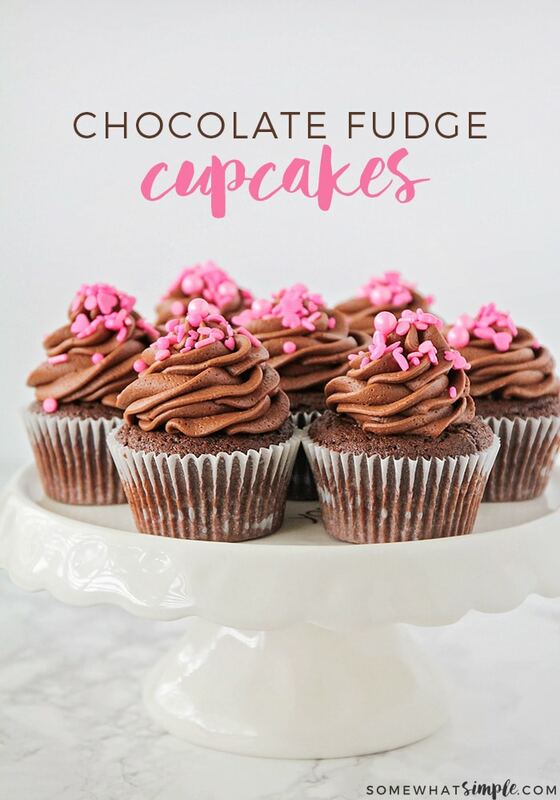 These delicious chocolate fudge cupcakes just might change the way you make cupcakes forever!!! 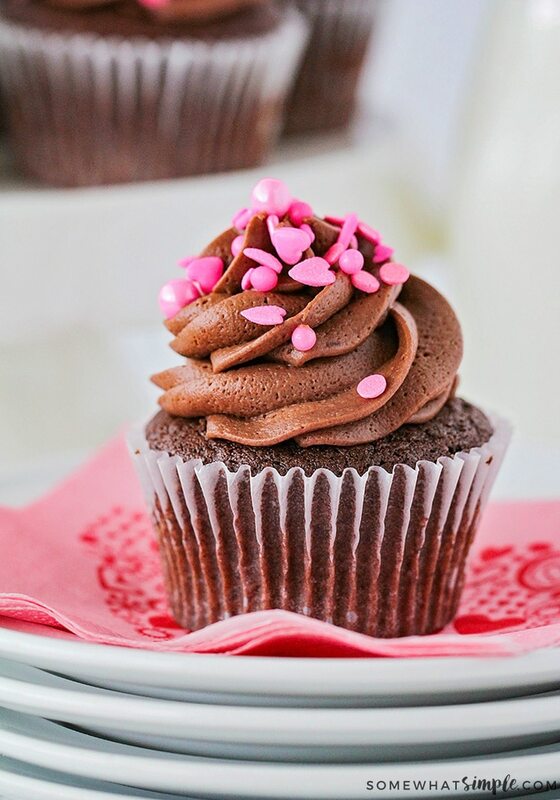 I made these Dark Chocolate Fudge Cupcakes for Valentines day last year, but then I made them again for a baby shower, and then AGAIN for a friend’s birthday party. 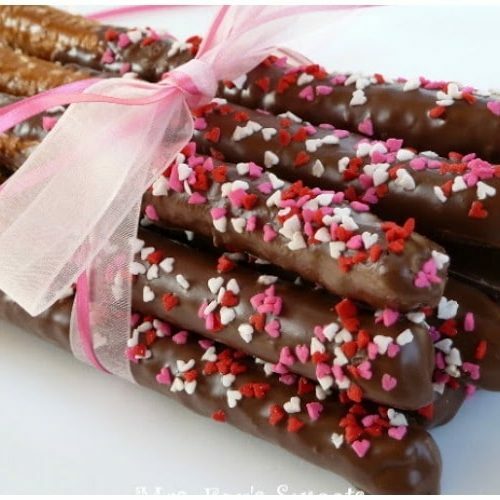 Which means they are pretty much perfect for any occasion, any time of year! 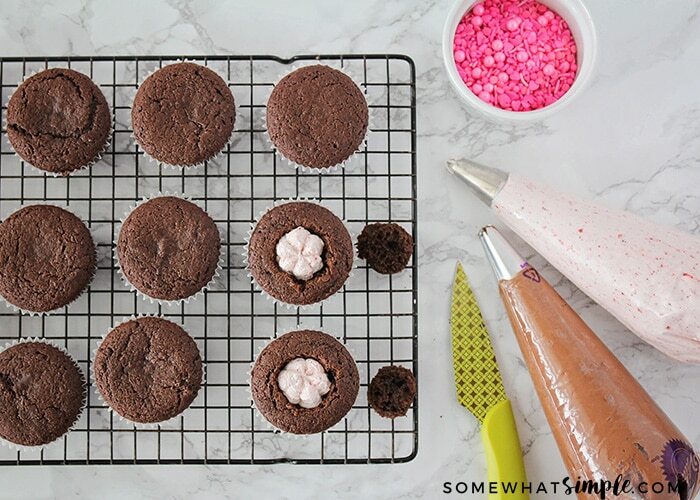 Not only do these cupcakes taste fantastic, they are super simple to make! Pipe chocolate frosting on top of cupcake, top with sprinkles and you’re good to go! 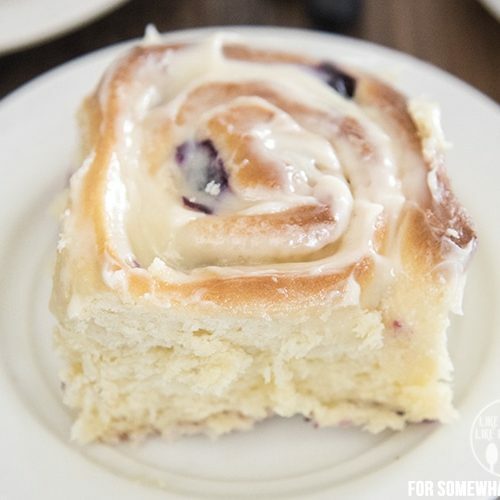 And just a word of caution, this strawberry whipped cream filling is DELICIOUS – so I advise you not to taste any until AFTER you’ve finished with your cupcakes. Otherwise there may not be any left for the filling! 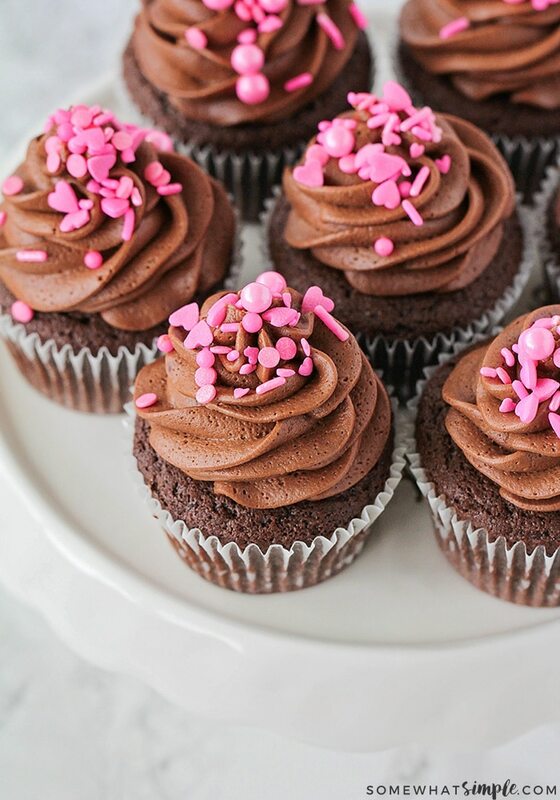 1 dozen chocolate cupcakes homemade or store-bought. chocolate frosting homemade or store-bought. 5-6 T. chopped/processed strawberries I used really large strawberries and it took 4 to make 5-6 tsp. 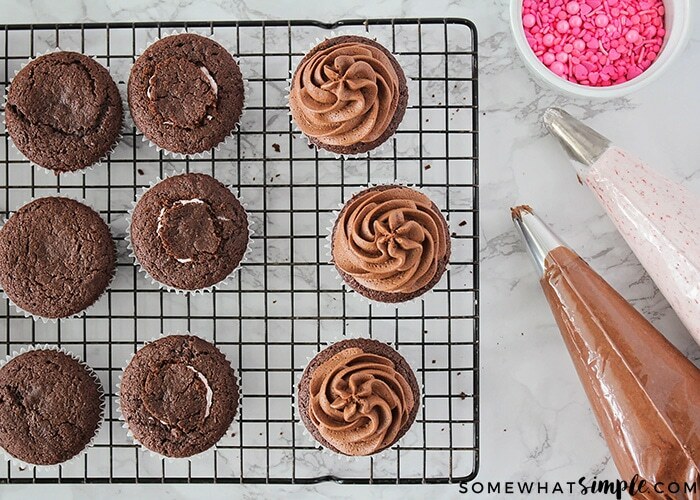 Make your chocolate cupcakes and chocolate frosting, then set aside. To make the strawberry whipped cream filling, chop strawberries in blender just until they look thick and "liquidy". Set aside. In a separate bowl, beat whipping cream, and vanilla until it starts to thicken. 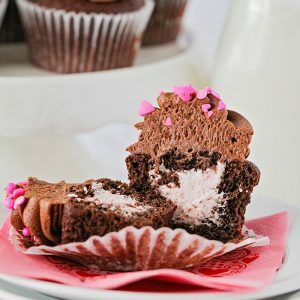 Once your cupcakes have cooled completely, scoop out a small section in the center of the cupcakes, saving the part you cut out in a bowl. 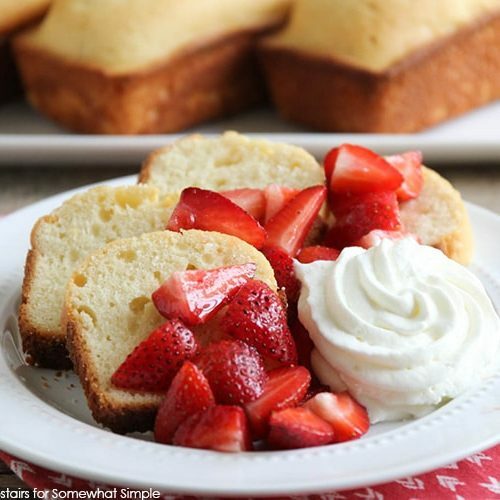 Add a small spoonful of strawberry whipped cream to the hole, then replace the tops of the cupcakes. Pipe chocolate frosting on top of cupcake and sprinkle with sprinkles, if desired. I love using THIS Dark Chocolate Cake mix for this recipe. It is super moist and delicious. 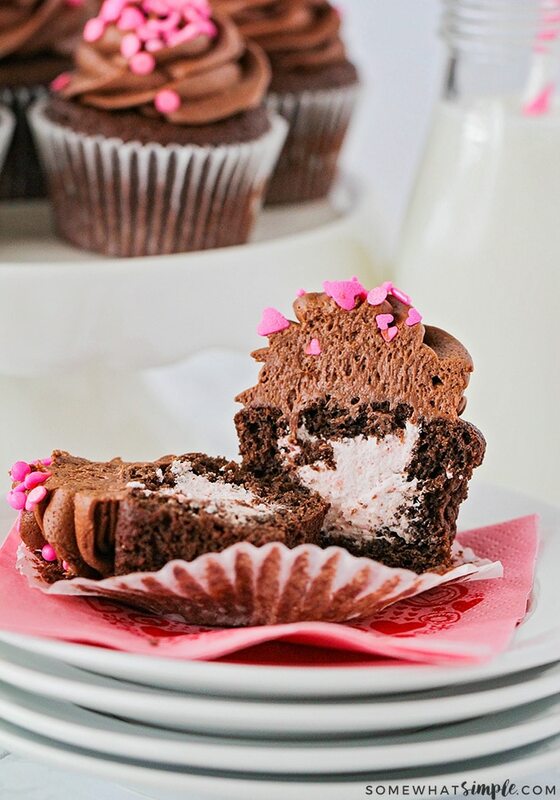 The Chocolate Cream Cheese Frosting from Glorious Treats is ah-mazing on top of these cupcakes! 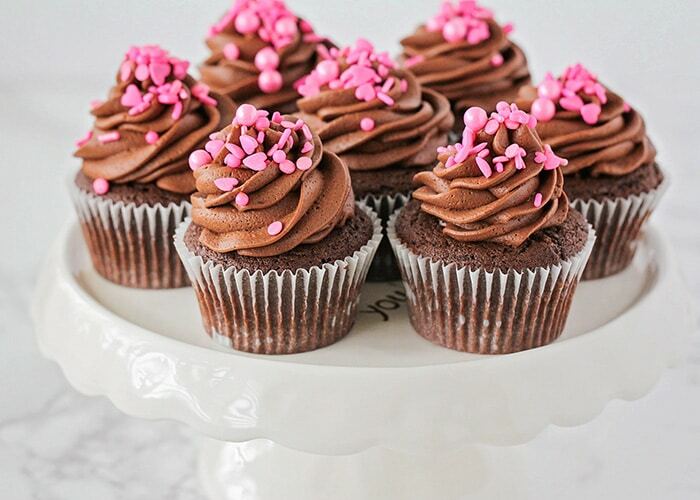 Now take a cupcake and pass them around!! ABOUT THE AUTHOR – This is a guest post written by Cheryl from TidyMom. Cheryl is a self-proclaimed neat-freak, mom, and wife, whose passions are baking, creating, photography, travel and of course, family! This post originally published on Somewhat Simple in April of 2010. I'm a cupcake mama, and these are right up my alley. They look SO GOOD right now!!! Those cupcakes look delish. I love the photo of them as well. Thanks for connecting us with Tidy Mom. I look forward to reading her blog and getting to know her. Happy Friday!